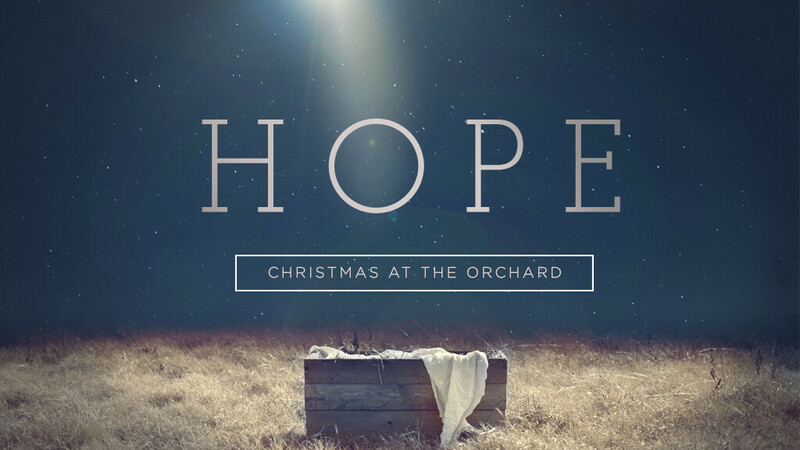 The Orchard's Christmas Eve services are at 3, 4:30 and 6 pm. The 3 & 4:30 pm services will have programming for children (newborn - preschool). This devotional series serves as a reminder of the hope we have in Jesus and as a way to help keep Christ our focus during this busy holiday season. Scripture is filled with the theme of hope we find in Christ, and these 21 passages will highlight a different aspect of the hope we find in Christ. There is a devotional for each weekday leading up to Christmas plus one for the weekend that contains an activity to enjoy with family or friends. The last two devotion cards are for Christmas Eve and Christmas Day. Phone Backgrounds for Android & iPhones: DOWNLOAD.